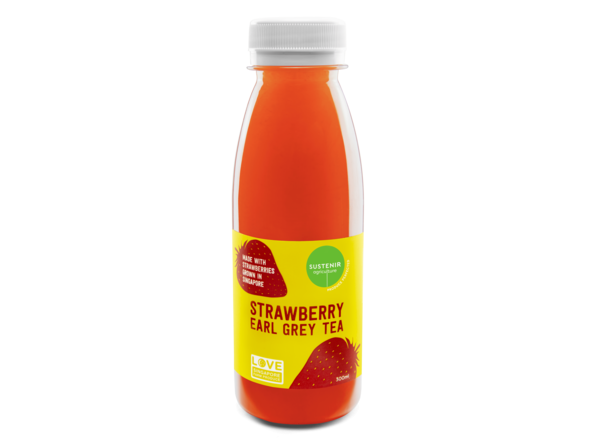 A lightly sweet and refreshingly uplifting blend of Sustenir’s very own Splendid Strawberries and premium Earl Grey tea leaves. The first strawberries ever to be produced in sunny Singapore, our Splendid Strawberries are grown soil-free in an indoor environment without the use of pesticides and with zero exposure to air pollution. Sweet, fleshy and naturally long-lasting, they’re perfect when paired with the zesty citrus boost of Earl Grey.